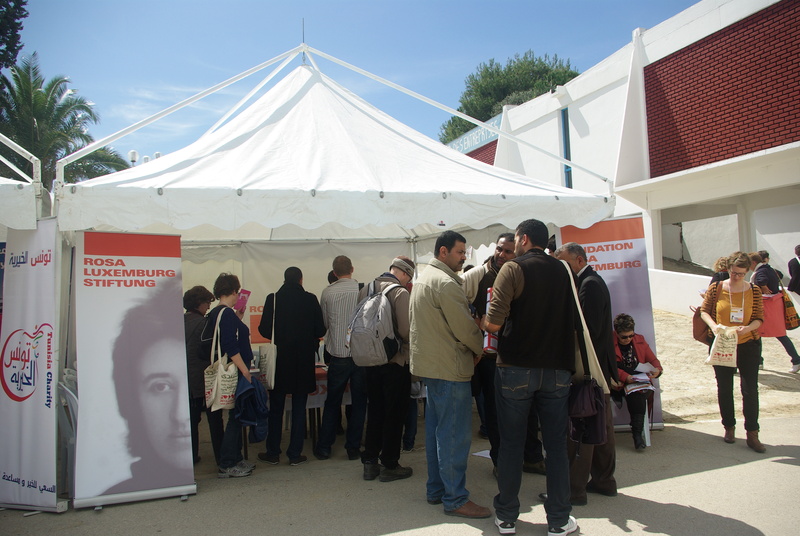 The Rosa Luxemburg Stiftung (RLS) is in the process of opening an office in Tunis for cooperation in the countries of North Africa. We aim for social justice, which can’t be achieved locally, but only on a global level. In this context, German and European relations with the countries of North Africa are our concern. What’s the impact of European politics on the different societies and systems? Who profits from North African natural resources? What must be improved or changed? What are our common issues? In the spirit of antiracism and true decolonization, we see our office as a space for the exchange of ideas between peoples and cultures and a place for mutual learning. The RLS is an organisation affiliated with, but independent from the German Left Party. It is run by public funds as a part of the German democratic system, but is not politically bound by governmental politics.